Amber Rainford was born in Northampton but grew up in Felixstowe. 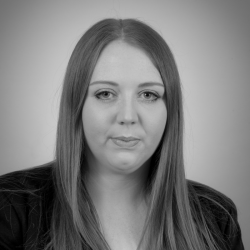 Having obtained a degree in Law and Criminology from the University of Lincoln in 2015, Amber joined the residential conveyancing department at Kerseys Solicitors in August 2017. Amber also has a STEP certificate in Trusts and Estates. Amber deals with all types of residential property transactions including sales and purchases of freehold or leasehold property, right to buy, equity transfers and re-mortgages. Amber enjoys traveling, reading, charity fundraising and spending time with her family.